PHP is an open source, server side language which helps you in creating both static and dynamic websites. 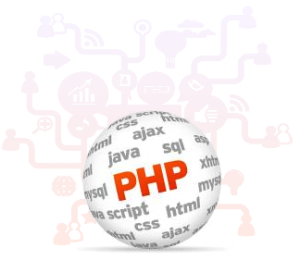 PHP is not only used in web development but also used as a general-purpose programming language. PHP development has become first and foremost selection of most small and medium businesses for various purposes like web application development, enterprise applications, dynamic websites, and social networking sites etc. Since PHP is very effective in terms of cost, open source and quite flexible, using it customers have gained the extraordinary new level of web success. If your business is facing various problems like failing in delivering strategic business benefits, despite huge investments in application customization not being able to generate significant value, mobile and web applications are ill equipped to cope with swiftly changing business and client requirements, then the solution of the problem is a skilled PHP development partner who can deliver strategic business benefits by filling the void created in business applications and enterprise requirements. PHP and most of its complementary software are available free of cost, so it proves to be very cost effective. PHP is highly compatible with the prime operating systems and web servers, which helps deployment across different platforms. Scripts of PHP can run across operating systems such as Windows, Linux, OpenBSD, Mac OSX, Apache, IIS, iPlanet and many more. PHP enables quick execution of complex solutions. Being quick to execute you can enter a new application into the market very fast which gives higher efficiency and competitive advantage.